When it comes to building your own home or restoring the roof on your biggest investment, deciding on the material and style of roof, are two of the biggest decisions in the process. Planning ahead is key, and knowing what options are out there is important in making the right choice for your home. After all, the roof doesn’t just provide shelter from the elements, it’s also one of the first things people notice about the property. Made of light, reflective material the Cool or White Roof is designed to reflect sunlight and infrared away from the home, helping to reduce energy bills and keep the property cooler in summer. The Cool Roof is also one of the most cost efficient ways of setting up an eco-friendly roof. As new and innovative designs are thought of each day, recycled roofs are becoming more popular and easier to source. As the friendliest option to the environment, we can see the appeal; not only that, the Recycled Roof is made of recycled materials, and provides a level of durability on par with brand new materials but without the impact on the environment. Clay roofing is made of natural materials and a perfect match for older Spanish style homes. Their colour is a striking feature and due to the lightness, reflecting light away from the home is another added bonus. In addition, clay roof tiles can also be long lasting and durable in harsh weather. Metal roofing structures are known for their durability, environmentally friendly manufacturing, fire resistance and recyclability. 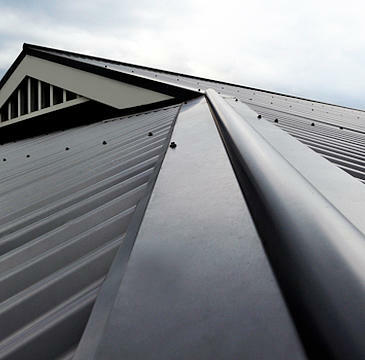 Longevity is also a major consideration of metal roofing, with a reputation for over 50 years of lifetime before replacement is needed. Even then you might be able to replace just one panel for your roof to be good as new. Usually found in unit buildings, the Green Roof is just that, green. You have heard of Roof Top Gardens, the Green Roof is exactly the same. Providing insulation and rainwater filtration. Although the roof style can be costly, who doesn’t like the idea of a garden on their roof, providing more opportunities for sustainability. Installing solar panels on your roof is one of the first environmentally friendly options to undertake, the technology has been around for a number of years and often there are financial perks for installing panels. The reduction in energy costs is enough to consider solar panels for your roof, but what kind of panels are best suited to your home?